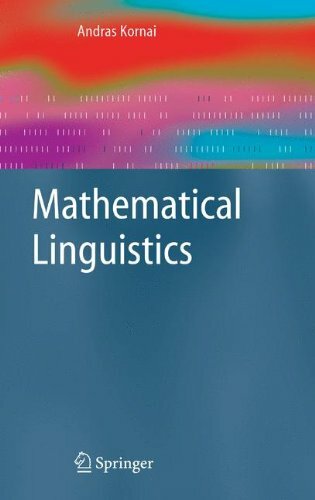 Mathematical Linguistics introduces the mathematical foundations of linguistics to computer scientists, engineers, and mathematicians interested in natural language processing. The book presents linguistics as a cumulative body of knowledge from the ground up: no prior knowledge of linguistics is assumed. As the first textbook of its kind, this book is useful for those in information science and in natural language technologies.